What can you do to keep your child reading during the Summer? Summer leaves lots of time for kids to enjoy fun activities, such as going to the park, seeing a movie, or going to the beach. Why not also encourage them to read a book about the activity? If you’re going to a football game, suggest that your child read a book about a favourite player beforehand. In the car or over dinner, you’ll have lots of time to talk about the book and the game. If your child doesn’t have a library card, summer is a great time to sign up for one. In addition to a wide selection of books to borrow, many libraries have fun, child-friendly summer reading programmes. 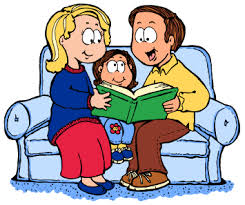 Talking with your kids about what you have read also lets them know that reading is an important part of your life. Tell them why you liked a book, what you learned from it, or how it helped you—soon they might start doing the same. Help kids find time to read. Summer camp, music lessons, football games, and videos are all fun things kids like to do during the summer. However, by the end of the day, children may be too tired to pick up a book. When planning summer activities with children, remember to leave some time in their schedules for reading. Some convenient times may be before bedtime or over breakfast. Relax the rules for summer. During the school year, children have busy schedules and often have required reading for classes. Summer is a time when children can read what, when, and how they please. Don’t set daily minute requirements or determine the number of pages they should read. Instead, make sure they pick up books for fun and help find ways for them to choose to read on their own. You may even want to make bedtime a little bit later if you find that your child can’t put down a book. Use books to break the boredom. Without the regular school regimen, adults and kids need more activities to fill the hours. Books that teach kids how to make or do something are a great way to get kids reading and keep them occupied. Don’t forget to take your kids’ favourite reading series along on long road trips. Read aloud with kids.Take your children to see a local storyteller or be one yourself. The summer months leave extra time for enthusiastic story-telling opportunities with children, no matter what their age. Don’t forget to improvise different voices or wear a silly hat to make the story that much more interesting!